It’s so inspiring to see how you integrate Cotton & Flax pieces into your homes, and I’ve been delighted to spot Cotton & Flax pieces pop up in my feed on Instagram and on my favorite design blogs. The photo above is from a home tour of a beautiful Venice Canal Cottage on Apartment Therapy, I love the way that Whitney and Adam integrate so much subtle pattern into their living room, it feels lush and textured without being overwhelming. 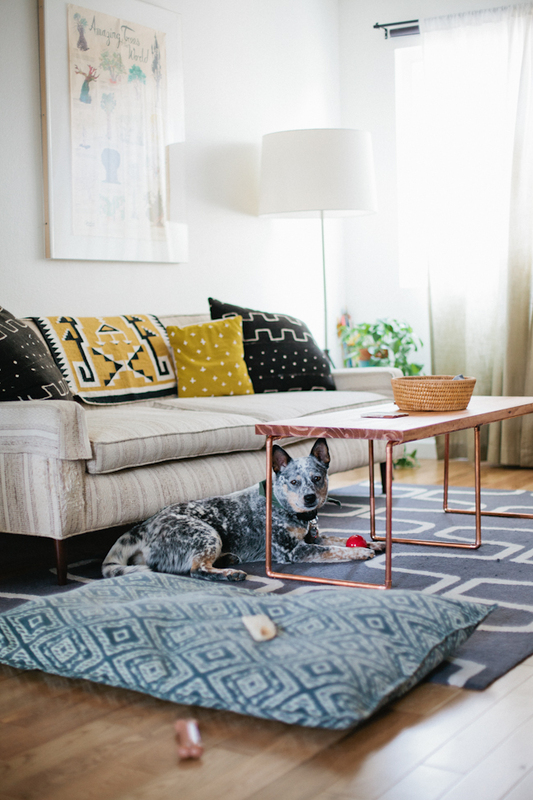 My friend Kate shared this sweet photo of her new pup on her blog recently. Kate isn’t afraid to mix bold patterns, her style is so fresh. Kate owns the small gold plus pillow, in case you’re looking to update your sofa with a pop of yellow. ● Ace Hotel’s new pattern-filled location in Panama, the American Trade Hotel. Especially loving the black and white tile on the patio, so striking! 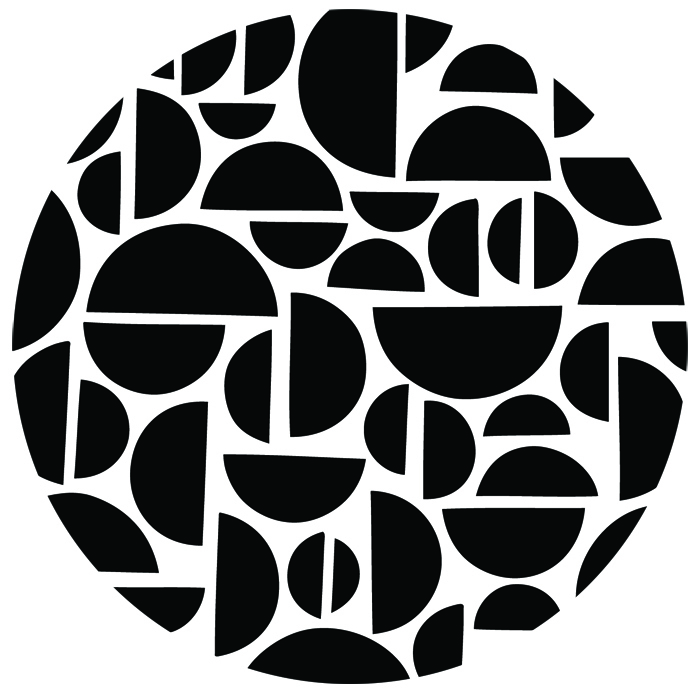 ● Design*Sponge posted guides to popular patterns back in January. 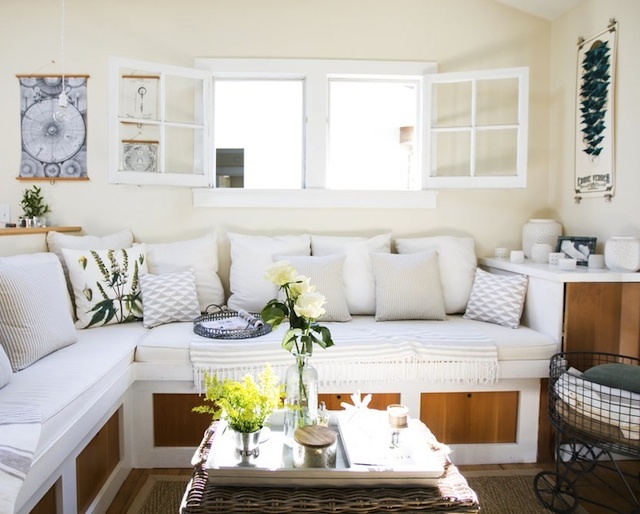 ● Justina Blakeney’s gorgeous patio overhaul – she embraces color and pattern like no one else. A little pattern never hurts. 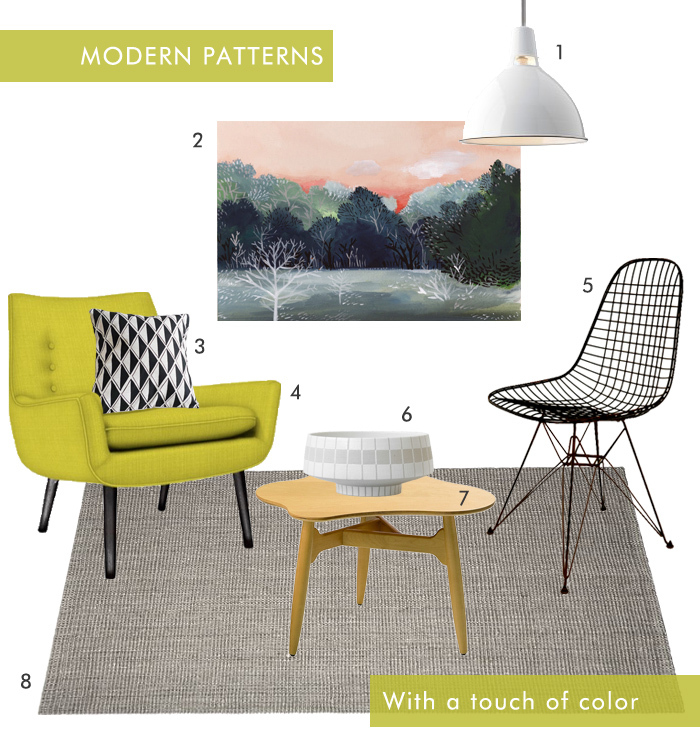 I’ve been thinking about the many ways you can add pattern to your decor, and while textiles are my favorite, I compiled another collection that uses pattern in different ways. In paticular, I love the way that the Eames chair creates repetitive shapes in the design of the chair, without using any fabric at all. As a thank you to everyone who has been keeping up with this new(ish) blog of mine, I wanted to offer a little thank you gift for your support. 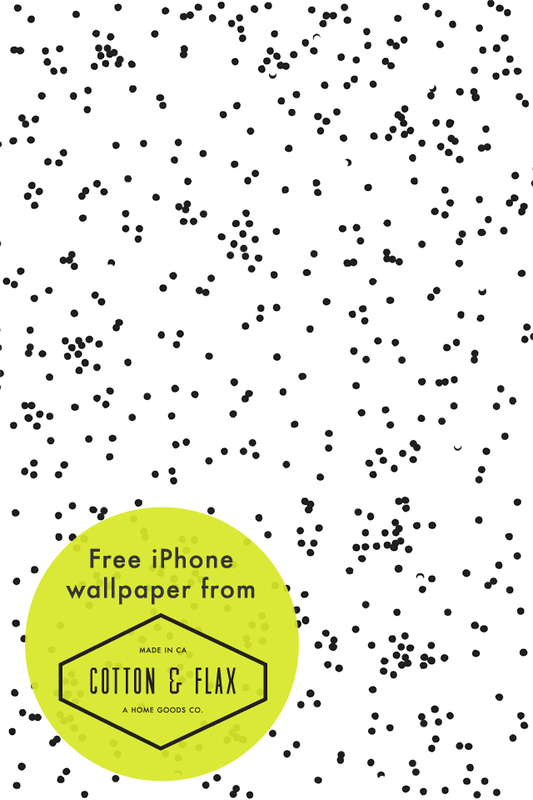 Thus, I will be sharing a free, downloadable iPhone wallpaper every month, featuring a new pattern that I designed for Cotton & Flax. 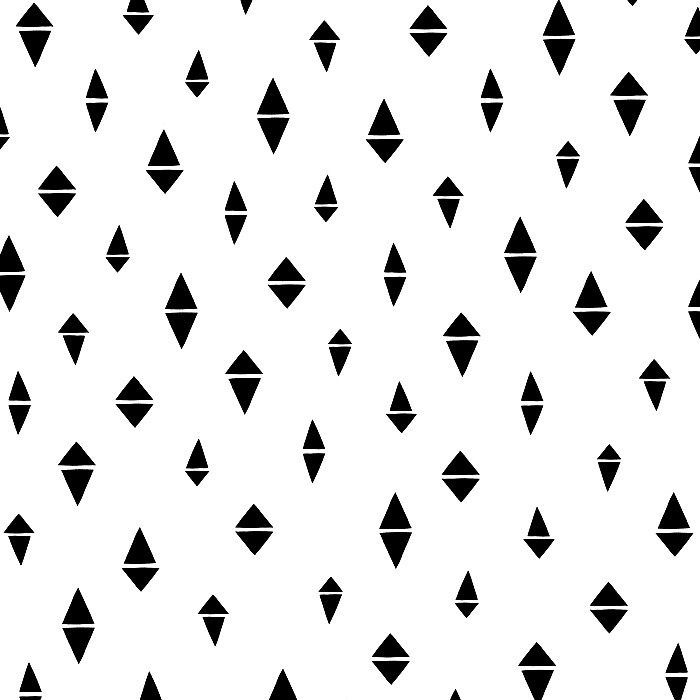 This month, it’s my new confetti pattern! Click here to download the Cotton & Flax iPhone wallpaper for November. This wallpaper should work for most smartphones, not just the iPhone (although it may get cropped depending on the screen size!) I may even create wallpapers for your computer desktop or iPad, too! Check out the other patterned iPhone wallpapers from various Cotton & Flax collections and install your favorite on your phone! Click the link and it will take you directly to the image. If you are on your phone, you can simply save the image to your phone, and set it as your wallpaper in the settings area of your phone. If you’re on a computer, save the image to your computer, then email the photo to yourself. 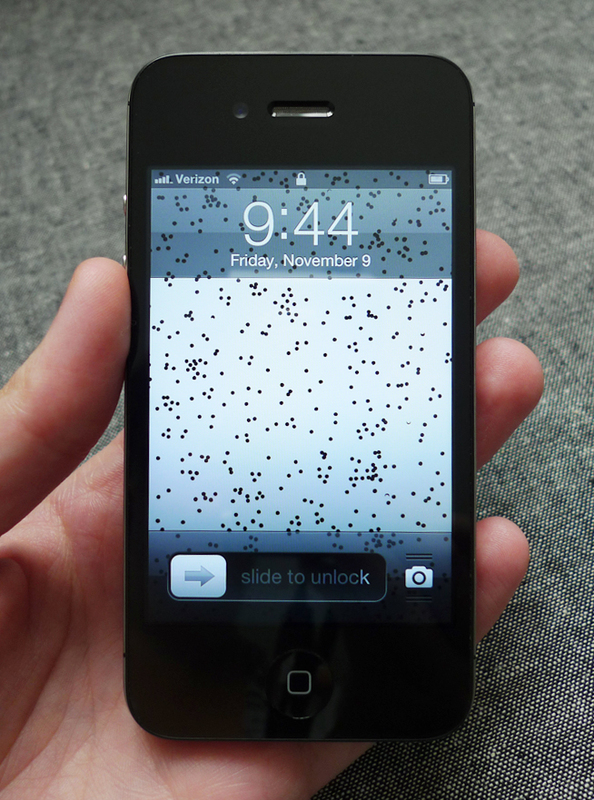 Open the email on your phone, save the photo to your phone, and set the photo as the wallpaper! It’s been an exciting few weeks around here, getting everything for the fall/winter collection finalized. 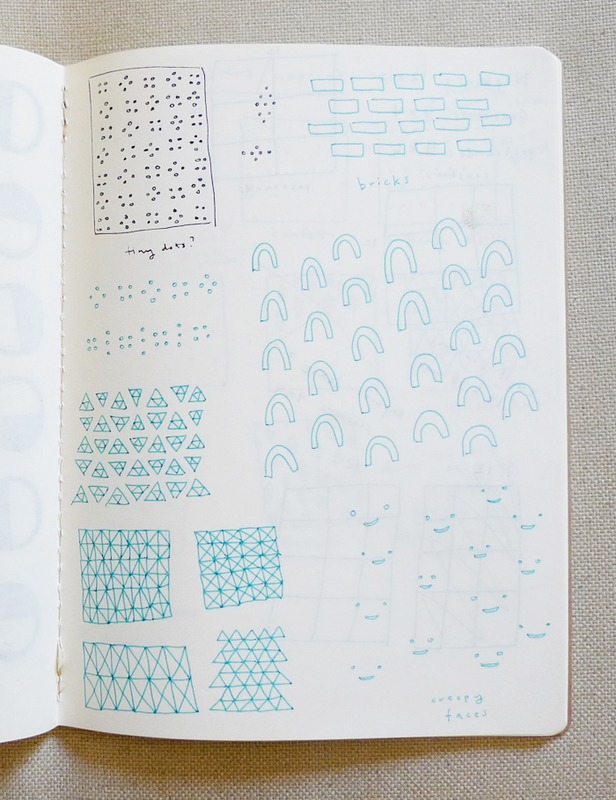 But there have been moments of frustration, too, as I struggled to curate my sketchbook full of new patterns down to just a few new design to add to the mix. I’ve talked a little bit before about how paralyzing it can be to have too many choices. Well, it was the same story all over again as I tried to curate my collection down to the patterns I loved most. After spending the summer developing so many new patterns, it was really tough to narrow it down to my top four. Mostly I just felt disappointed that some of my favorite patterns would not be used, at least not for this collection. It occurred to me that I could share a few of them here, so they wouldn’t go to waste! 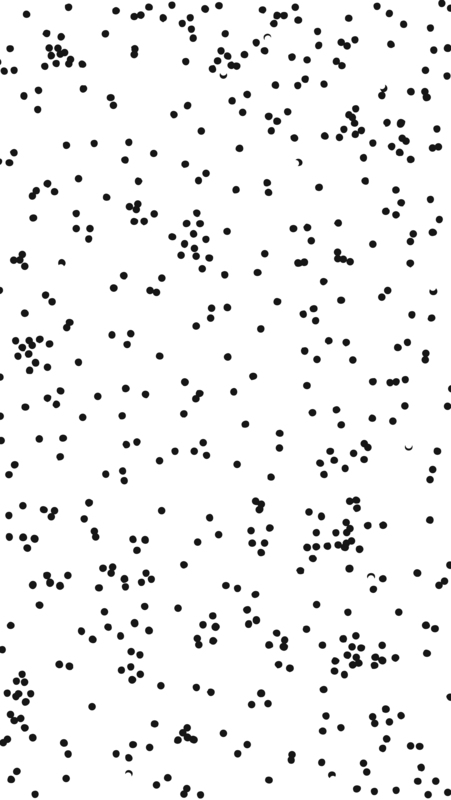 I don’t think of these patterns so much as rejects, but as patterns I may return to later. Now that I’ve seen all the new work in it’s final stages, I’m not quite so bummed out about these unused patterns. It’s inevitable that I won’t be able to execute some projects, so I need to practice letting things go. To all you creative readers out there: do you ever feel disappointed about creative projects that don’t come to fruition? 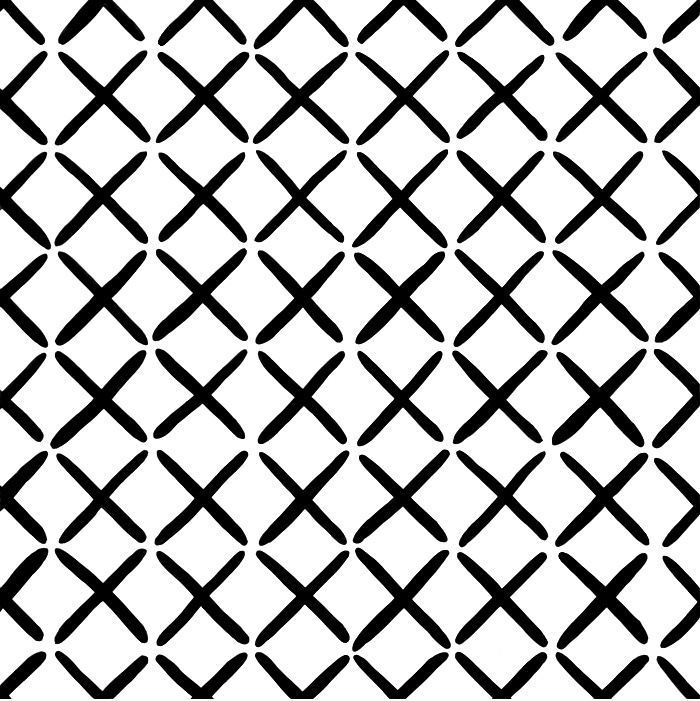 I’ve been spotting some amazing patterns online recently. 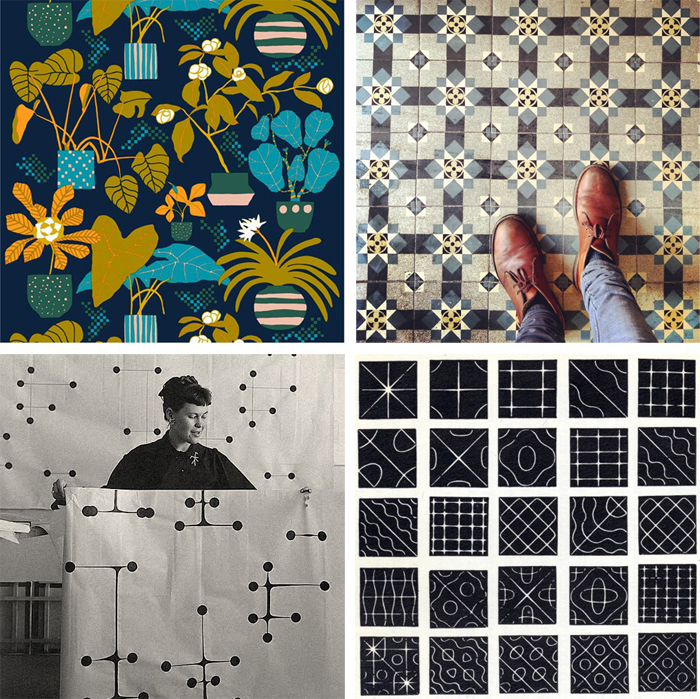 Have you seen my Patterns Pinterest board? It’s out of control. Over 900 pins, and I’m not stopping anytime soon. 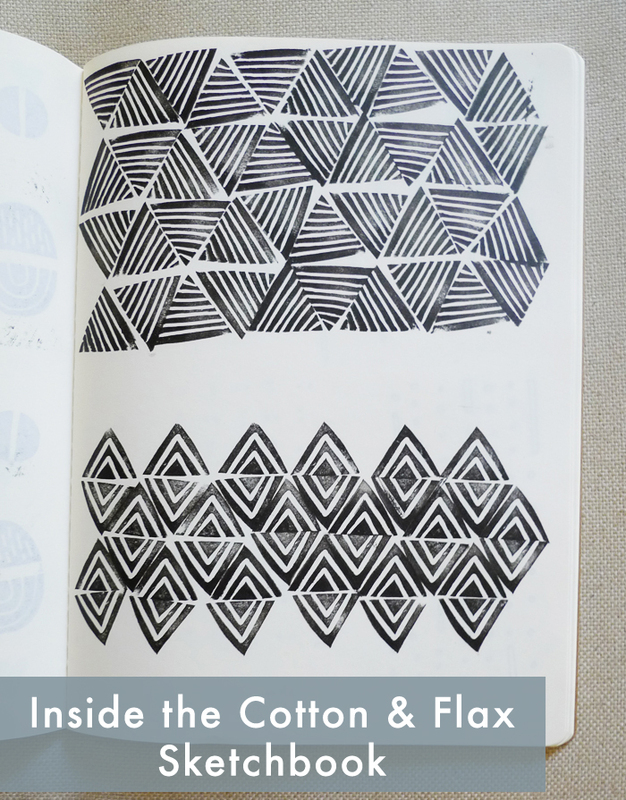 I have been debating whether to share pages from my sketchbook for a while, ever since I promised to share the behind the scenes of Cotton & Flax, even the not so glamorous stuff. The thing is, I feel like I have a very warped perspective of what an artist’s sketchbook is supposed to look like. 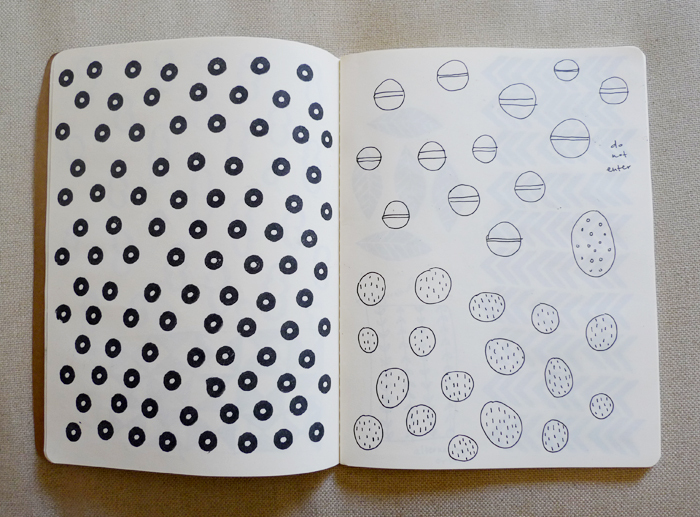 I would see beautiful sketchbooks on Book By Its Cover and think, “Is that what my sketchbook should look like?! Those sketchbooks look so perfect, filled with lots of finished drawings and paintings!” I started to feel bad that my sketchbooks almost never feature any finely polished drawings. 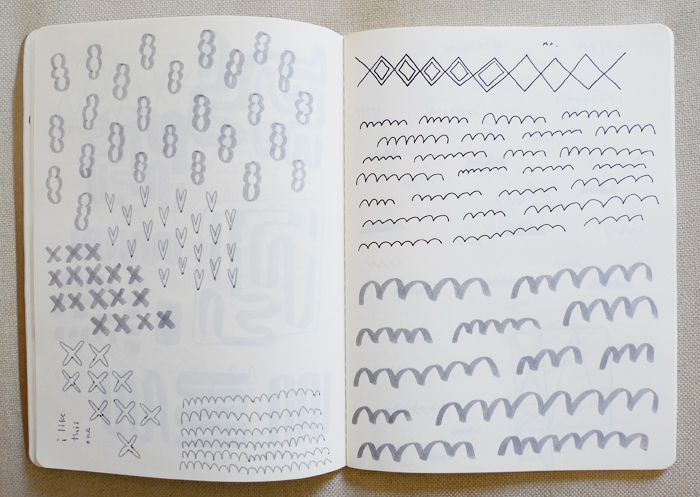 For me, the sketchbook is where I work out “problems.” Where I develop new ideas and practice new techniques. I allow myself to be weird and messy in my sketchbook because it frees me to work without worry. It might not always be pretty to look at, but I look at my sketchbook less as an art piece in and of itself, and more as a tool that I use to create my own art. Ultimately, I wanted to share these pages to erase any doubt that my designs just pop into my head as finished patterns. 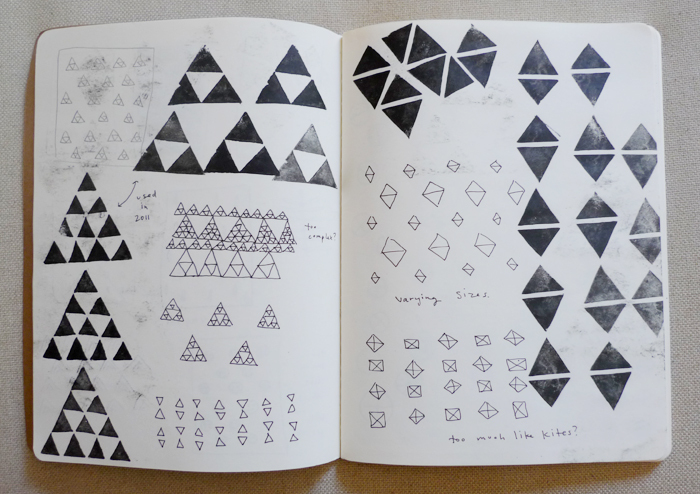 It takes me quite a while to develop the final patterns, and my sketchbook is a huge part of that process. 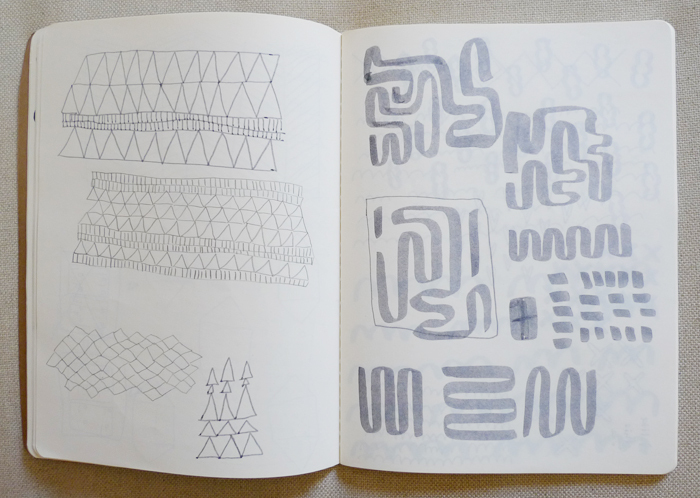 Do you keep a sketchbook? Do you share it with anyone? Would love to hear what my creative readers use their notebooks for!